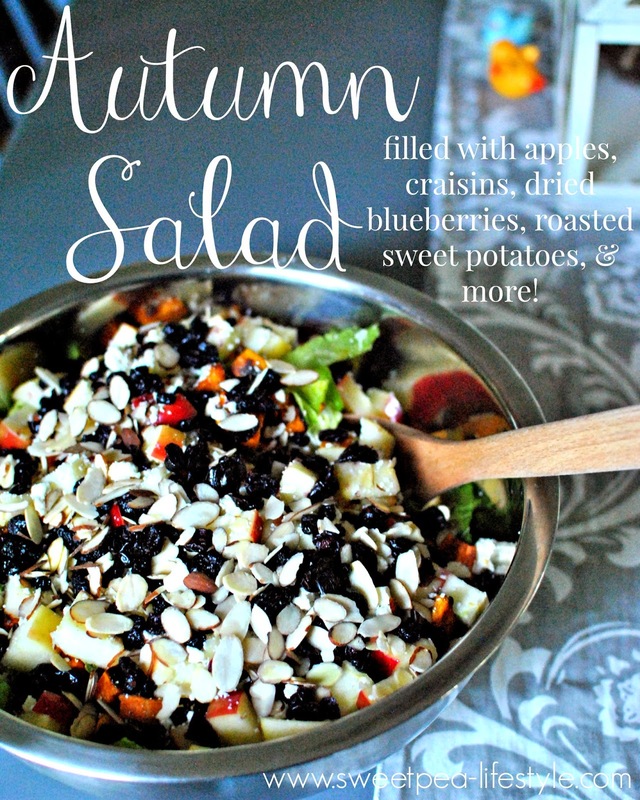 A delicious and hearty salad filled with apples, dried blueberries, roasted sweet potatoes, and almonds. This is a great meal by itself! Well, it's November now, and not many people are thinking about salads. Salads are, in my opinion, a Spring and Summer thing. Mid-February, you don't hear too many people saying "Let's have salad for supper!" But, this one should be on your table as soon as possible! It hosts a LOT of ingredients, but most items you should have on hand. One everything is chopped, all you do is mix it up and serve. This would go well with a roasted chicken breast, or grilled pork chops. When I shared this salad with my Growth Group, we had it with Beef Bourguignon. Super yummy! Ready to get started on the salad? Here's the super easy recipe! 2/3 cup Dried Blueberries, or Blueberry Craisins. Or a combo of both. What ever makes you excited! Combine all items well. Serve with either a Poppy Seed dressing or a Balsamic Vinaigrette. This salad was SO good. Great meal by itself if you're feeling the veggie mood! I must have this salad ASAP! Looks fantastic! It is so tasty!! Let me know when you try this! Thanks for stopping by!